Payment protection insurance is a policy to protect payments in case of accident, illness, and unemployment, but the truth is that not everyone needs it. For many people, payment protection insurance can be a waste of money. While it may be useful in some cases, customers should weigh up whether or not they will actually ever use this type of insurance. Payment protection insurance is an insurance policy that can be bought when taking out loans, mortgages, credit cards and other types of financing. It is basically used to make repayments if the borrower cannot, due to certain factors such as illness, redundancy or an accident. By paying this insurance every month the borrower is guaranteed that at least a years payments are covered if they become unable to work. Payment protection insurance is not cheap and the truth of the matter is that it will not be suitable for everyone. If borrowers are taking out a long term loan then this is where payment protection insurance can be useful. A lot can happen over the course of a five or ten year loan period. Accidents, illness, and unemployment can occur and when it does then borrowers will be glad they took this policy. However, most lenders will say that borrowers should take payment protection insurance and that it is vital in order to protect payments. The truth is that for some loan types it is simply not suitable or cost effective. For a short term loan of one or even two years the actual amount you will spend on payment protection insurance will usually not be cost effective. The probability of the borrower using the insurance within a short term loan period is also very low. Lenders do make a lot of profit on selling payment protection insurance policies and will try to push them. They have actually been known to give the impression that a loan application may not be successful if the protection is not taken. Borrowers are under no obligation to buy payment protection insurance and should always tick the box marked “no payment protection needed” if they do not want this service. Borrowers can buy payment protection insurance policies from the same lender who is supplying their loan. However, lenders can hike up the amount charged on these policies. Borrowers should always shop around to find the lowest insurance policies, and independent insurers will usually give better rates than actual lenders. When it comes down to insurance policies, lenders do make huge profits. Reports have shown that payment protection insurance policies makes lenders around £5 billion in profit each year, with only £1 billion repaid to customers each year. These figures alone show the truth behind who is actually gaining from payment protection insurance. 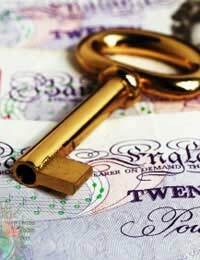 Payment protection insurance is expensive and will be added to your monthly loan repayments. This should all be deducted as a total figure but in some cases can be shown as two separate payments. If loan or insurance repayments are missed or late then an extra fee can be applied by the bank. When applying for a loan always remember to ask for the total overall charge including payment protection insurance if you are taking a policy, and a breakdown of the payments. This way you will see exactly what you are paying for, and you can shop around to see if better deals are available. Borrowers should always weigh up the likelihood of whether or not payment protection insurance will be worthwhile. Lenders will not usually tell borrowers the disadvantages of these policies, so it is in the borrower’s best interest to undertake some research, shop around, and find the best deal.